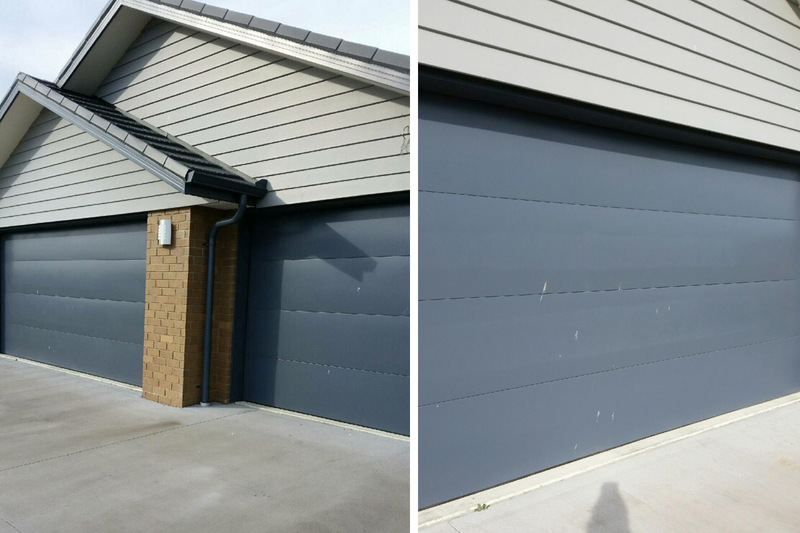 Paulette wanted to update the colour of her metal garage doors from what she called a “bland new denim blue” to a more striking ebony black. 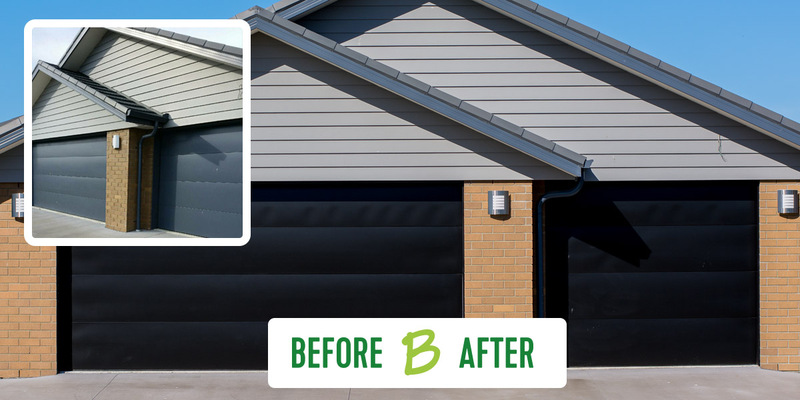 Paulette contacted the garage door company to find out if, and how, the colour could be changed. 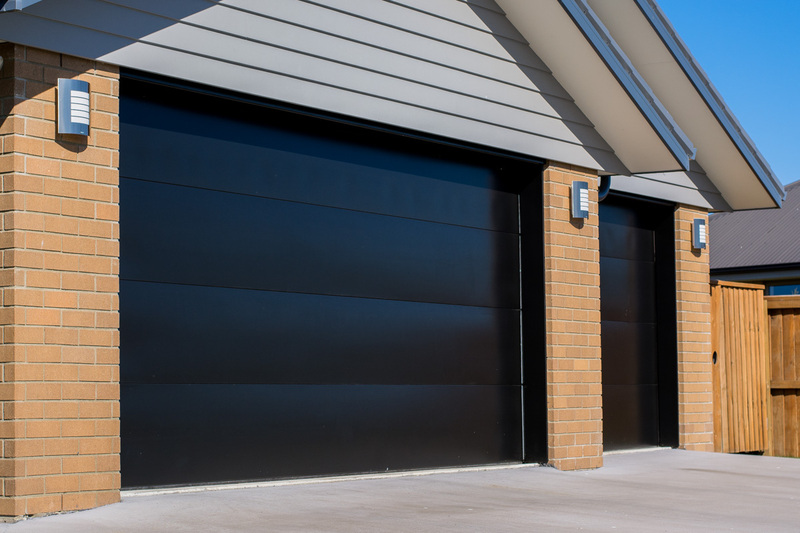 They came back with two options; replacing the doors entirely at great expense; or powder coating at a cost not much less than new doors, and required them being taken away for two to three weeks. Not satisfied with these options, Paulette turned to builderscrack.co.nz to see if there were any other options. She already trusted the platform, having used it in the past to find some great tradies. For Paulette, the “ease of use is the best thing”, going on to say that “once you’ve used it the first time, it’s easy to go back and use again” and in this case, that’s what she did. 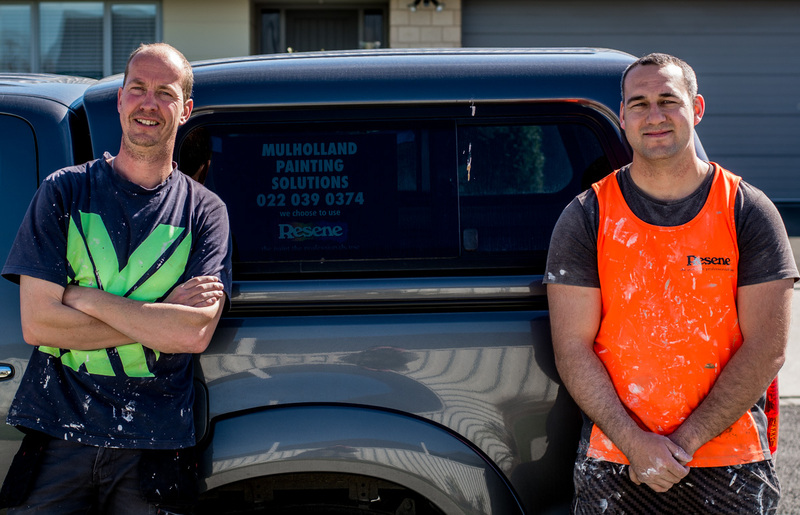 Darren from Mulholland Painting Solutions, was the first tradie to make an impression, after his quick response, and how “he came across really well”. He and one other quoted for the job. To decide which tradie to go with, Paulette checked their reviews from previous jobs, then compared price, personality, communication and availability to start. It was Darren’s winning combination of these aspects that won him the job. 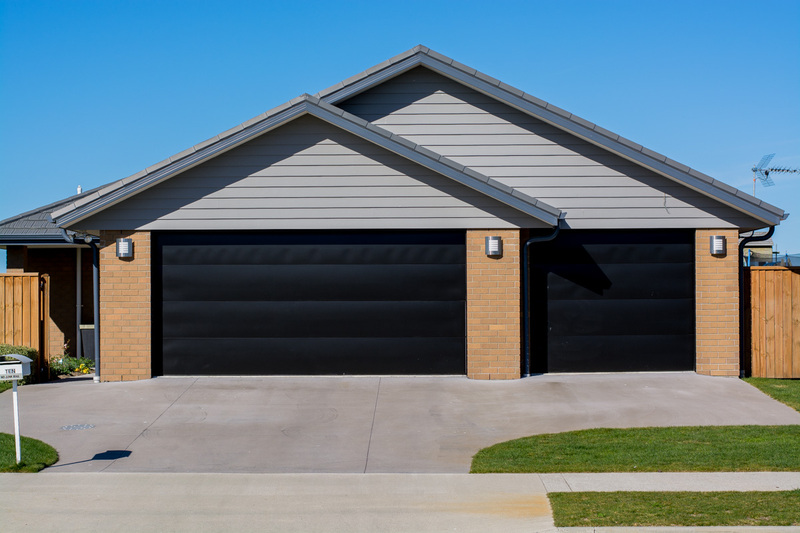 In particular, Paulette found his communication and “can-do” attitude fantastic, reassuring her and her husband that the doors could be painted for a reasonable price. He talked them through the steps he would take, which added a further layer of reassurance. Darren had a gap between jobs and was able to start a few days later. His technique was to wait for a cool day, to apply a “decent primer and two tops coats”. He used a roller, elaborating on why a cool day was essential, “the paint drys too fast, so you get roller marks all over the door” and don’t achieve a smooth, professional finish. Paulette was impressed with not only his workmanship but also the extra mile he went, saying that “Darren was very particular, very careful doing the work. He threw a drop sheet over the car that was still in the garage, and it was those little things that made me think he’s good, he takes pride, and does quality work”. In only a few days Paulette had the result she wanted. It was goodbye to bland blue and hello to the striking ebony. The surface of the doors was perfectly smooth, not a streak in sight, and she had a polished new look for the front of her house. “We were very impressed with Darren’s quality of workmanship. He is very conscientious and kept us up to date with the whole process. We are very happy with the end result”. “When you post that job, you know the people that are responding are actually interested in the job. Otherwise, I could get the yellow pages out and ring 17 tradies, and 16 are “yes, yes, I’ll be out next week – but never comes to anything”. “It’s so much easier to push a button and a nice person messages you to say they’re interested in the job and initiates contact”. Paulette concludes, “it is a damn good platform. It’s a good step in getting your job, whatever it may be, done”. Yes, we are happy with this. Well done!